The Salamander, above, by Guelph-based WIKE. Folding bikes are a great option for city living: you can take them with you into your condo or office and tuck them away securely and unobtrusively. They are also easy to transport in your car or boat. I keep my folding bike under the desk in my office. 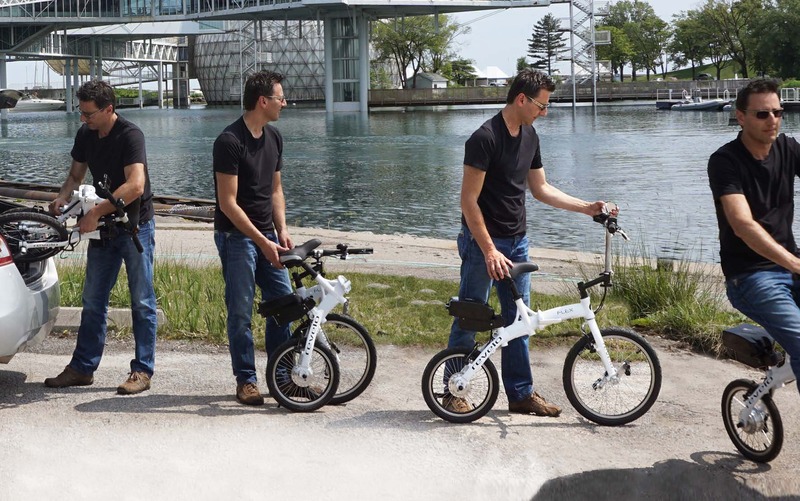 Ontario has been a hotbed of innovation in folding bike designs recently. There are three new products invented locally that are coming to market this summer. 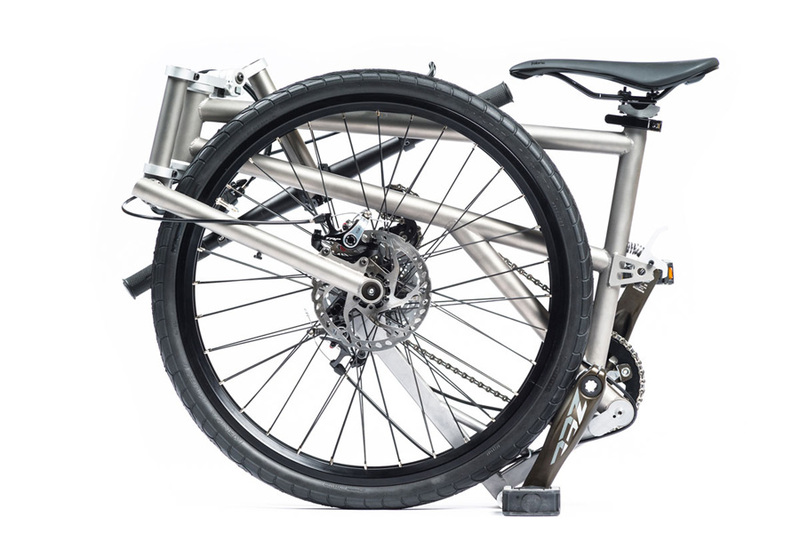 The Helix (www.RideHelix.ca) has the largest wheel-size and frame of any folding bike, yet is one of the smallest when folded. 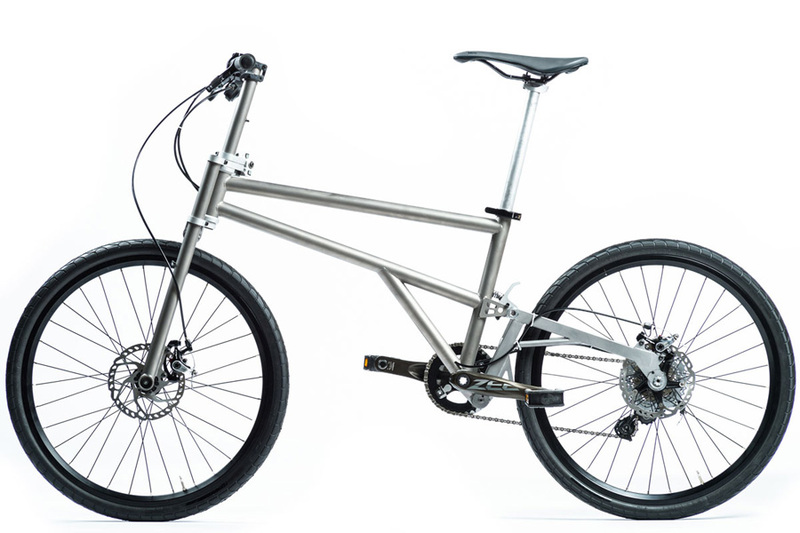 It promises the ride quality of a Bike Friday with the compact foldability of a Brompton. The all-titanium frame is very light. Helix was invented and is manufactured here in Toronto. It raised over $2M in pre-production orders on Kickstarter.com last year (a Kickstarter record). The Revelo (www.Revelo.ca) is a very small electric bike with a radical yet old-fashioned design: the pedals are attached directly to the front wheel. It's like a miniature penny-farthing. What's old is new again. The original prototype was an OCAD thesis project about five years ago, and it is now market-ready. Both the Revelo and Helix promotional videos are shot on the newly renovated Queens Quay. 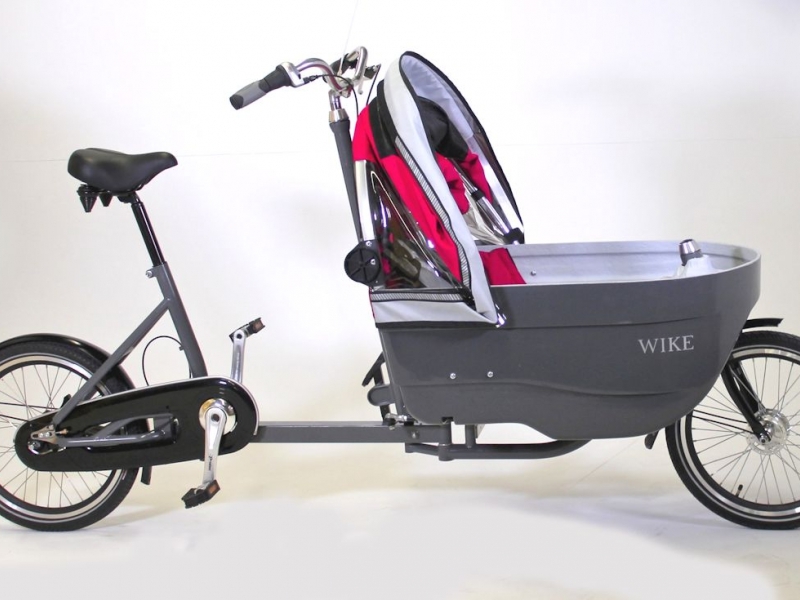 The Wike Salamander (www.Wicycle.com) is an ingenious folding family bicycle invented and manufactured in Guelph. 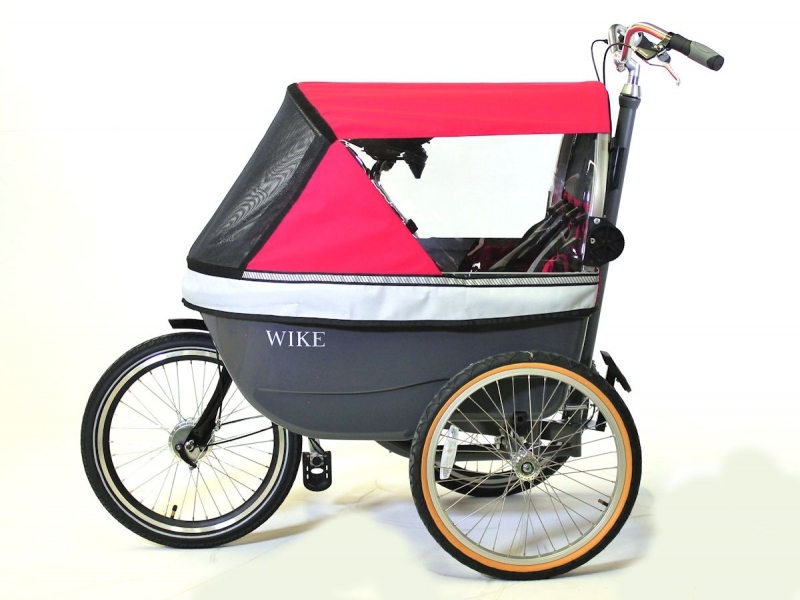 It converts between a jogging stroller for two young children and a 7.5' long bakfiet-style bike --- and you can do this conversion in seconds with the children in the stroller cabin. Put the kids in the (fully enclosed) cabin upstairs in your apartment, stroll downstairs, convert to bike mode outside, ride down the street to dance class, convert back to stroller mode, and walk in to the community centre. Your kids will never be exposed to the elements (unless you open the canopy). Amazing! The Salamander will make its début at the Toronto International Bike Show March 4-6, CNE Better Living Centre. The established names in quality folding bikes, which you can buy in shops today, include Brompton, Dahon, Tern, Giant, and Bike Friday. You can also get an inexpensive Schwinn at Canadian Tire. There is a good folding bike for every person and situation. See you in the bike lanes! Derek's family recently replaced their car with an Onderwater Triple Tandem bike and a Burley D'Lite trailer. They use the bike as their main mode of transportation for all children's activities, grocery shopping, and even date nights. 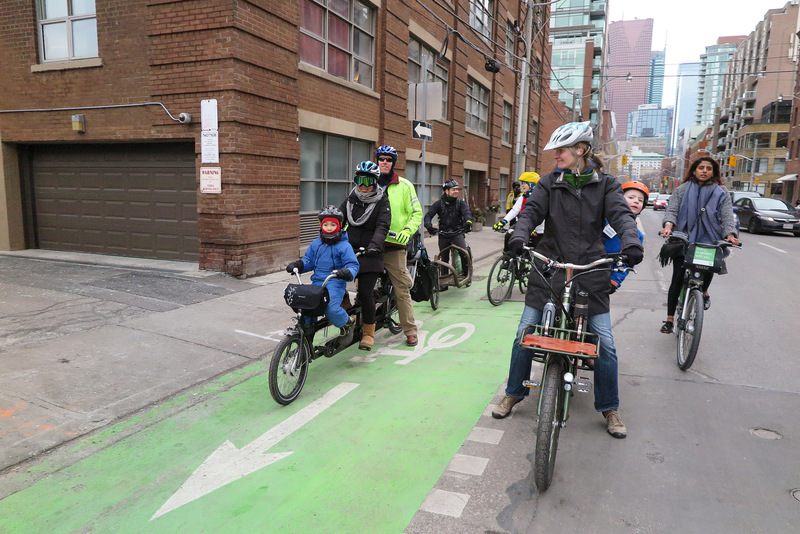 They use the new bike lanes on Queens Quay, Simcoe, Sherbourne, Adelaide, and Richmond. When he's not riding the family bicycle, Derek works as a software engineer. Overall the Brompton is my favorite of the foldable bikes I’ve been lucky enough to try. The Salamander looks interesting though.